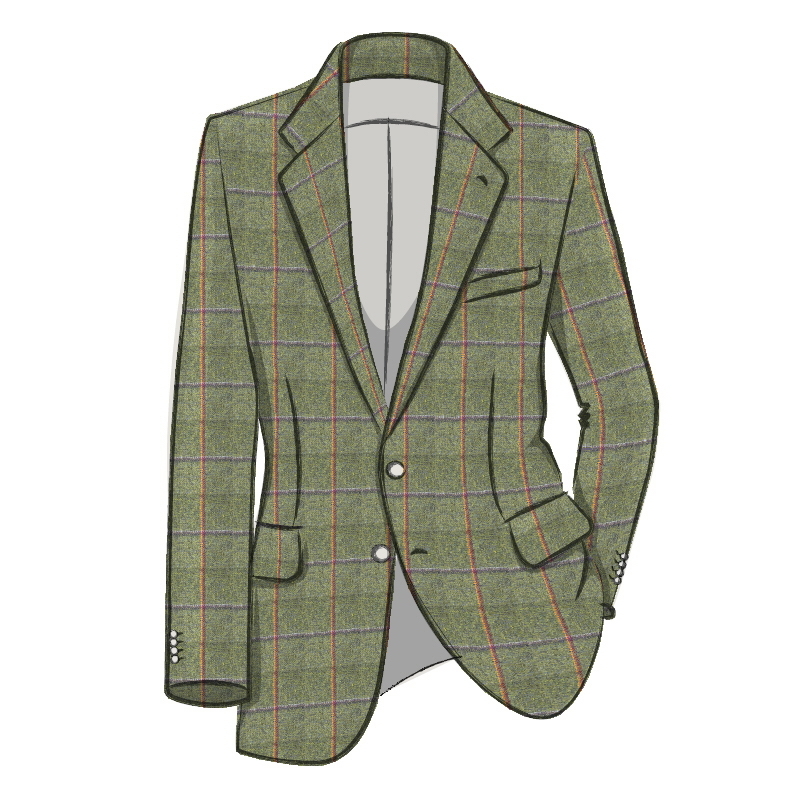 The Kirkton tweeds are woven in the Scottish Borders where the River Tweed runs it's course. The Kirkton Green tweed collection has a fabulous range of small and large checks, herringbone and plain so you are sure to find your perfect Scottish tweed. Produits disponible en tartan Kirkton Green Tweed Check sont de tissu ecossais, coussin ecossais ainsi que couverture. En département accessoire vetement on fabrique de pantalon ecossais pour homme, costume et gilet, en plus de mini kilt femme, jupe ecossais et manteau, en plus d’écharpe, cravatte et meme des bottines et escarpin ecossais. La liste de disponibilité se trouve ci-dessous. On fabrique aussi beaucoup plus d’articles sur commande. Si vous ne le trouvez pas demandez-nous et on peut normalement le fabriquer! Tweed originated in Scotland in the 18th century and is traditionally a coarse cloth woven from pure virgin wool, usually in earthy colours. 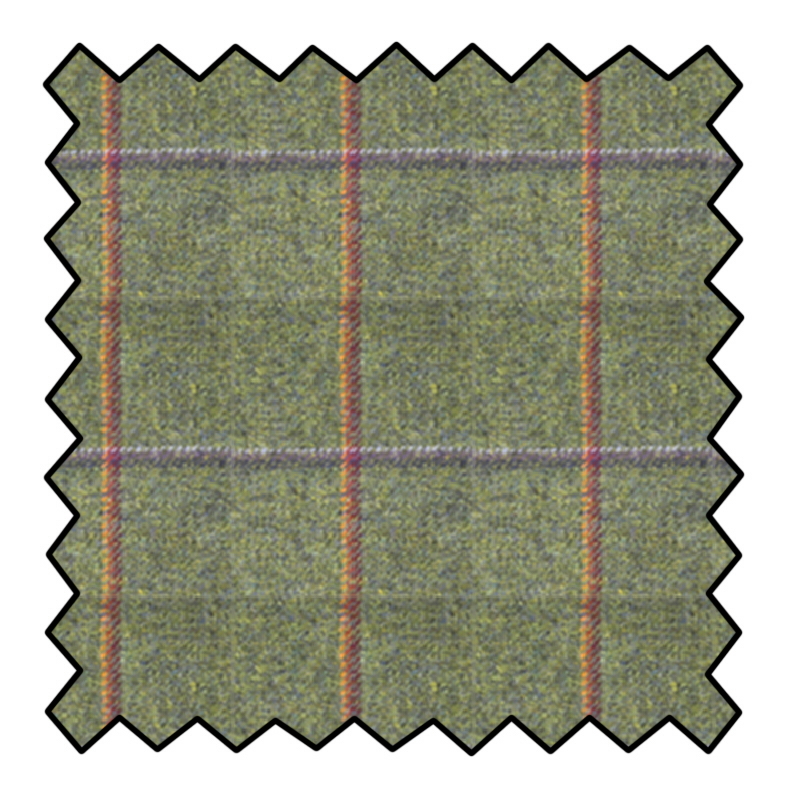 Scottish weavers wished to make a denser and heavier cloth, and by developing the "twill" (the diagonal line running through the fabric) they produced what is recognised as tweed today. The generic term came from a London cloth merchant mis-reading "tweel", the Scottish version of twill.